In my capacity as a member of the Delaware General Assembly, I spent nearly the entire 2008 legislative session advocating for the signing of the Power Purchase Agreement between Bluewater Wind, LLC and Delmarva Power and Light Company. This agreement would allow for the construction of the first off-shore wind generation facility in America. In itself, this marks a historically significant moment for alternative energy generation. Couching the argument in terms of economic, health, and environmental benefits allowed for a modified compromise to be negotiated and signed by Delmarva Power and Bluewater Wind. Although economies of scale had to be adjusted, the realities of Renewable Energy Credit values and Alternative Compliance Penalties allowed for a prudent conclusion to concerns by both entities regarding financial risk and return on investment. The compromise excised one of the major concerns of litigation so now this initiative can move forward, virtually unimpeded into the realm of State and Federal permitting. The complexity and diversity of interests, ranging from public/ratepayer benefits, to climate/health effects, to job growth/economic potential, have given this initiative a distinction in other regards. 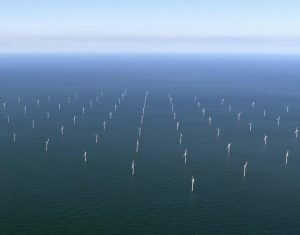 The uniqueness of the Off-Shore Wind proposal in Delaware is not limited to the obvious. It offers innovative, renewable energy generation with unprecedented long-term price stability. These are the most obvious advantages of this accomplishment. In the lead up to negotiating a compromise another subtle opportunity has been exposed—an opportunity to mollify proponents and opponents of environmentalism and economics (industry and organized labor) when their specific interests appear to clash. Far too often, we are subject to what is perceived as an insurmountable difference between the environmentalists and the loosely defined economic community, composed of business/industry and organized labor. The reality doesn’t justify the misperception that the interests of these communities are constantly at odds with each other. Unfortunately, faulty assumptions and lack of communication often result in a cautionary predisposition to couch every disagreement in an “our way or the wrong way” mentality that benefits neither party. The Off-Shore Wind farm project is uniquely position to offer substantial benefits to the environmental/ecological climate while resulting in significant economic stability and job growth that will help expand and grow economic development in Delaware and throughout the region. It has enabled a coalescing of attitudes resulting in building alliances between former foes. These circumstances have positioned the wind project to be the stimulus for building a permanent coalition between labor and environmentalists which could explore and integrate mutually beneficial issues and pursuits. This would ultimately loosen the restraints on progress and innovation that result from constant conflicts. 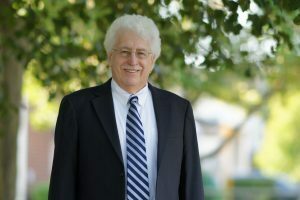 As a 37-year union member, lifelong environmentalist, and State Representative, I’ve had the opportunity to explore and appreciate the concerns and motives of both parties. Far too often, the extreme positions staked out by both sides created an adversarial atmosphere of defensive distrust, thus co-opting any thought of compromise. The reality that there could be a mutually beneficial and advantageous middle ground was dismissed out of hand. Attempts at compromise would deteriorate into name calling between the “tree-huggers” and the “union thugs.” Whose advantage would be “disserved” became more important than those whose interests would be best served. The Bluewater Wind proposal with its environmental and economic advantages brought the idea of mutual benefits back into focus. We are on the cusp of coalescing separate efforts in support of the rapidly merging interests of industry, workers and the environment. This is a pleasant circumstance to be in and should result in future cooperative efforts. In the final analysis, the success of the Bluewater Wind project may ultimately be measured in terms of birthing a permanent legacy of cooperation and alliances that have not been consistently exploited before.